Chill your food in absolute style and efficiency with the Samsung 362L Top Mount Fridge. All food odours can change the taste of frozen foods and affect the flavors of finished dishes. Twin Cooling Plus is a truly independent cooling system, with separate airflows in both the fridge and freezer. 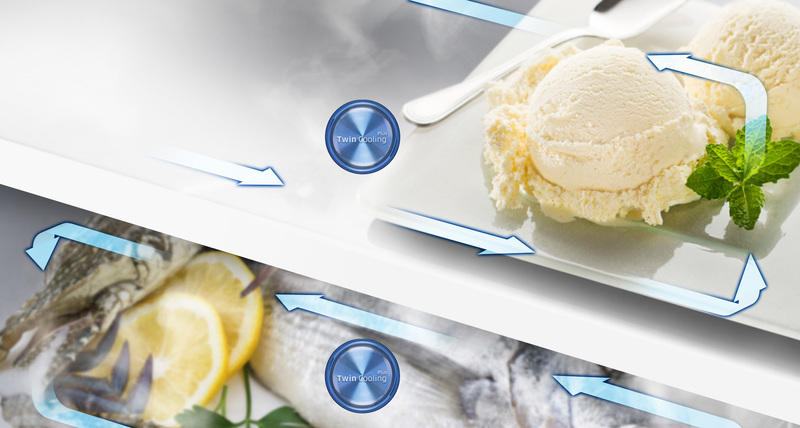 This prevents unpleasant smells from foods moving between the fridge and freezer, ensuring the original flavor of ingredients stored in the freezer is perfectly preserved and odourless. 5 possible Conversion Modes for flexible storage. Easily convert your freezer into a fridge to keep all the fresh food you need to store for different seasons or special occasions. Or just switch to off the fridge compartment when leaving home for a long vacation. 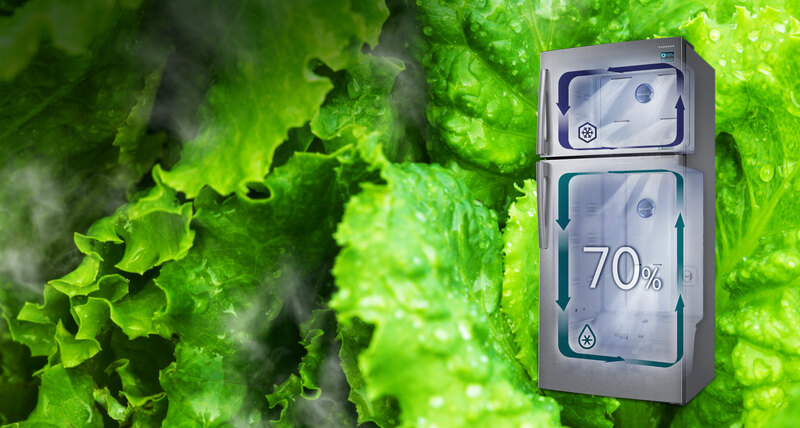 The five modes are Freezer-Fridge, Energy Saving, Vacation, Fridge Max and Mini mode. The deodorizing Filter keeps the fridge clean and fresh by passing air through an Activated Carbon filter, preserving the original food flavours for a longer period of time. Brighter with better power efficiency. The high efficiency LED lighting brilliantly illuminates every corner, ensuring better visibility.